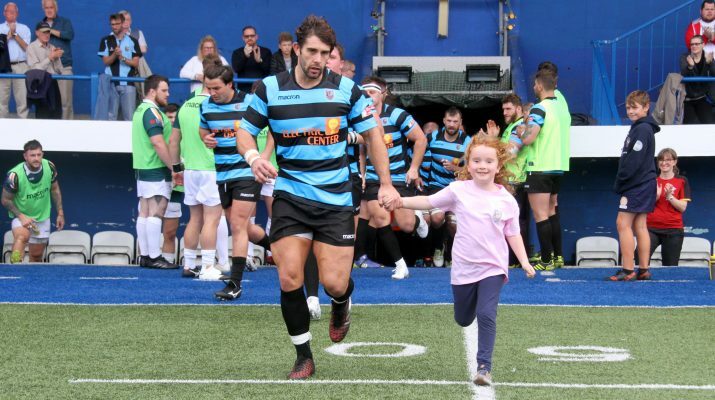 Cardiff entertain Carmarthen Quins at the Arms Park tomorrow evening in a game that will be shown live on BBC television. Since the last game where the Quins held on for a 19-13 win in September Cardiff’s form has greatly improved and they have won all but two of the games. That leaves the Blue & Blacks in third place. The latest victory came last week at Rodney Parade “we didn’t get it right it the first half” said Head Coach Steve Law “Newport put us under pressure and we failed to execute. We put that right in the second half and were much more clinical in what we were doing. A bonus point win down there was very pleasing but we have been working on some of the issues during the week.